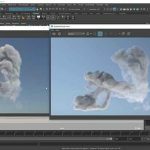 Malcolm Andrieshyn covers how to customize the Maya interface with some helpful tips. In recent editions of Maya, users can customize the Maya interface along with new workspaces. 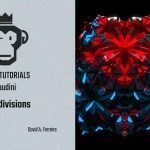 If you are new to Maya, you should check out this tips tutorial from Malcolm341 (Malcolm Andrieshyn) who walks through some ways that you can create a custom workspace in Maya by customizing the interface. Malcolm shows how he creates his custom setup and along the way imparts some nice tips for tearing off windows and making a workspace to call your own and to help ease the eyes and get tools quicker. Maya has many ways to get rid of clutter and store tools, so they are quick at hand, and customizing the interface is another way to set Maya up to how you like to work.